We’d Be a Mess Without Him – Meet Mr. Eugene. His face, familiar. His smile, sincere. His gentle spirit, evident to all he meets. Without his diligence, Southeastern would surely be a mess. Who is he? Well, he’s Mr. Eugene, of course. 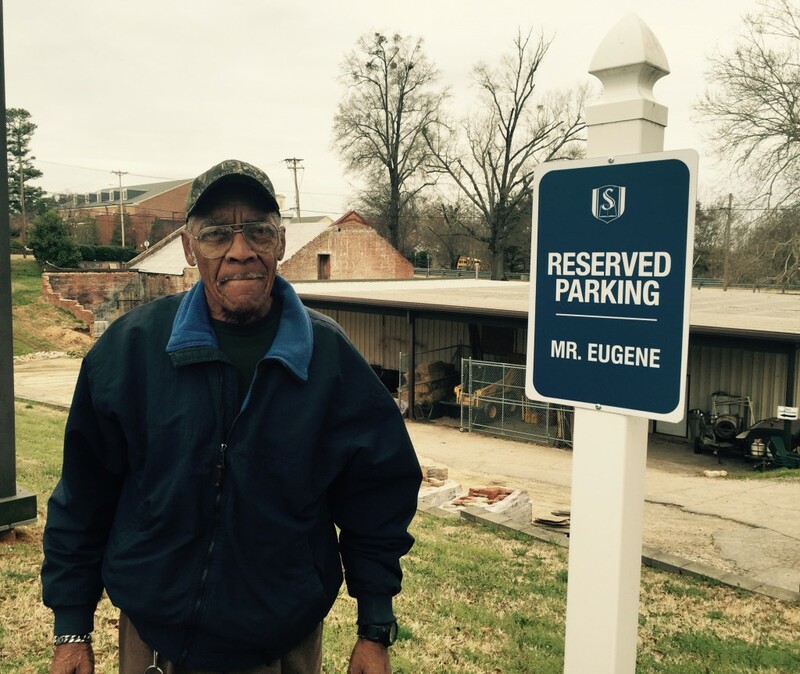 Eugene Smith, affectionately referred to campus-wide as Mr. Eugene, joined the Southeastern family in 1980 as part of the facilities team. His first ten years at Southeastern were spent maintaining Stealey Hall and Appleby as a custodian. Today, the central way he serves Southeastern is by taking care of the recycling products in the offices around campus. 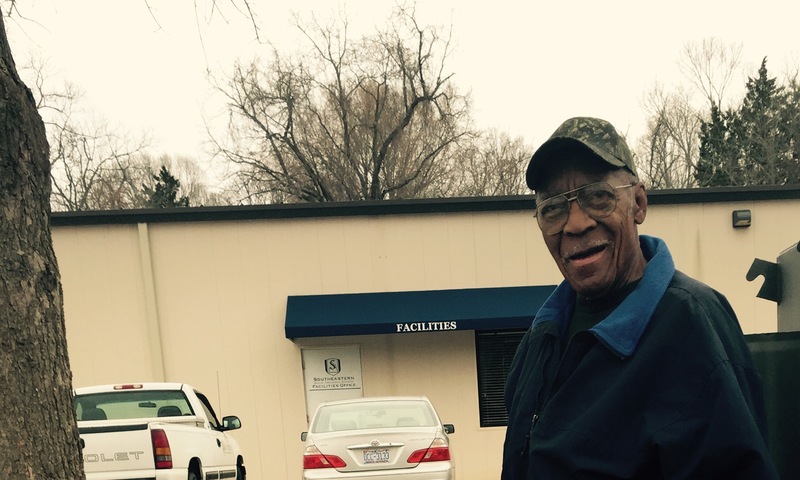 Mr. Eugene was born and raised on farm land in Rolesville, North Carolina. He and his wife had two children, and he laughingly admits that he has so many grandchildren and great grandchildren that he can hardly keep track. 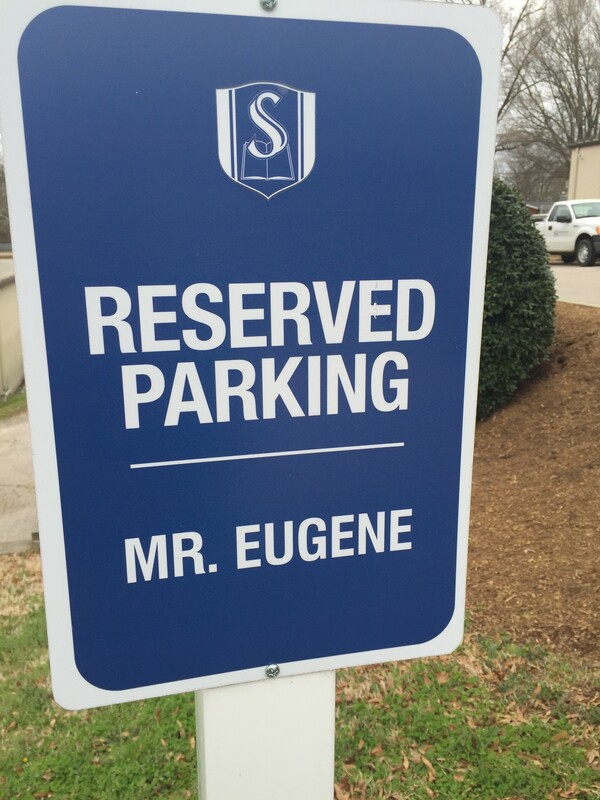 Mr. Eugene at his designated parking space. Recently, as a result of his endurance thus far, Mr. Eugene was honored with a unique gift. He received his very own parking space, a front row spot reserved especially for him. Mr. Eugene, with his sweet demeanor and proven diligence, is just one of many individuals who serve Southeastern faithfully, and often times unnoticed. Would you thank him and others like him for their hard work? Without them, this place truly would be a mess. 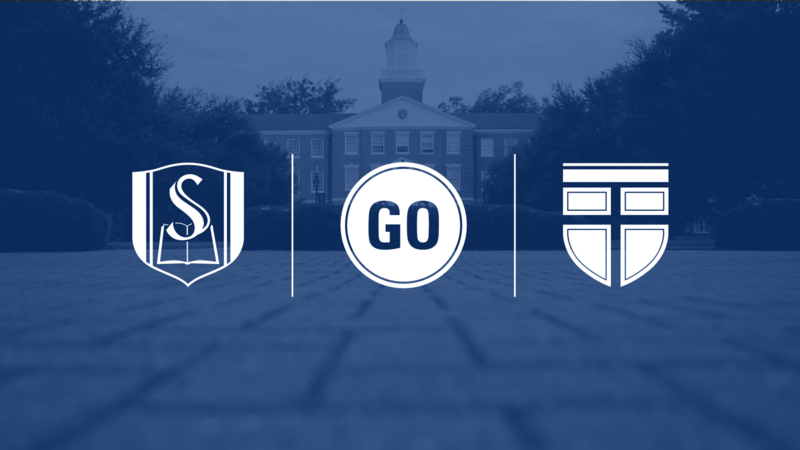 Southeastern Family Features are designed to highlight the ways that current students, professors, alumni and staff are serving the Church and fulfilling the Great Commission. Contact Bethany Brown in the Student Life Office if you have any questions or would like to suggest a SEBTS family member to highlight.